This year, we did something new that I think we're going to turn into an annual "to do." We mailed out actual Valentines! 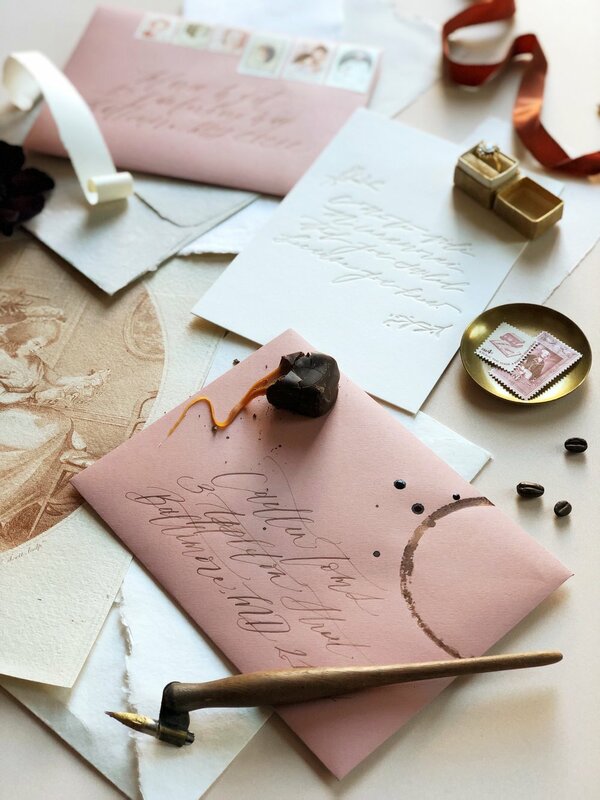 For the past few weeks I've had the pleasure of working with Nikki at Shotgunning for Love Letters to customize and design letterpress Valentine's Day cards on double thick paper - super luxe. 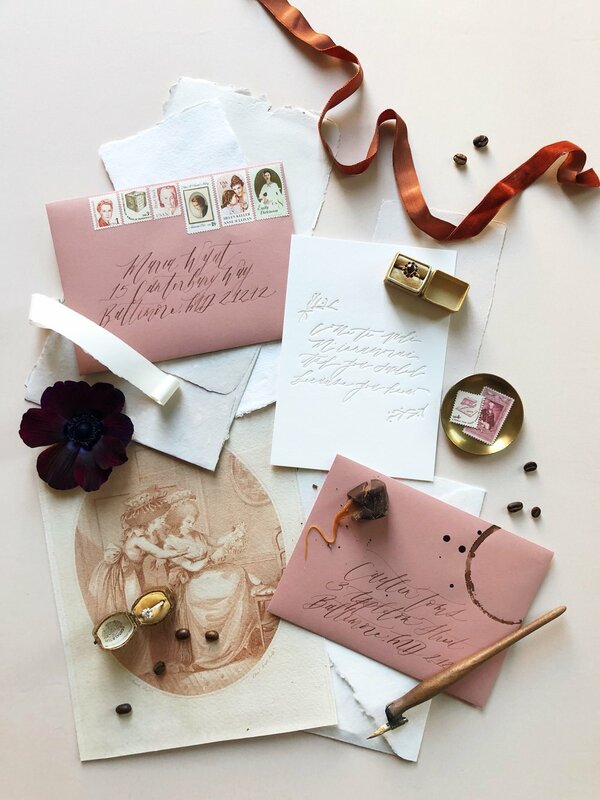 Nikki also hand calligraphed all of the envelope addresses in walnut ink on rose envelopes, and we worked with Verde Studio to compile the perfect collection of "literary ladies" stamps to match our color palette. I'm so in love with the end result. On the cards, we printed one of my favorite quotes, "When I saw you, I fell in love, and you smiled because you knew." This is a line from the Italian opera, Falstaff, so to play into the romance language, we left the first part of the quote in Italian: "Come ti vidi M’innamorai, and you smiled because you knew." Of course, we had to document all of this work before mailing out our cards! So, below are some photos from an impromptu iPhone photoshoot with Nikki, where I also started styling some of her other sample papers. 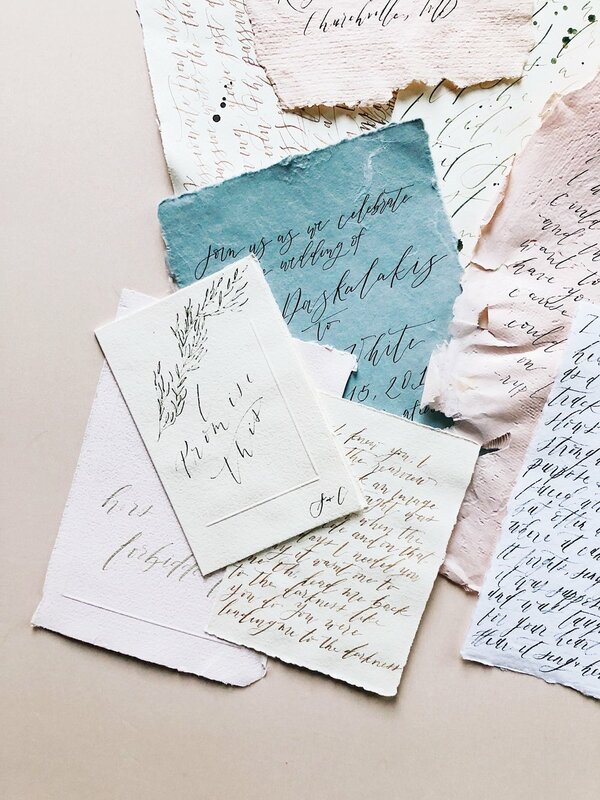 Because when you go to a calligrapher's house, they have a TON of paper, and it is just begging to be showed off!